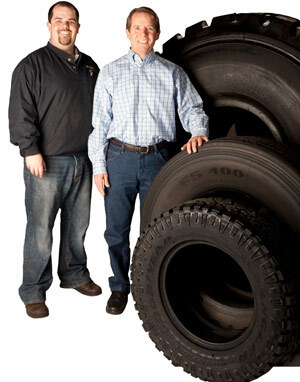 SM Tire was Founded in 1946 and has been in the transportation solution business ever since. SM Tire has spent the last years delivering Tire and Automotive Service to satisfied customers throughout the coastal region of California. We focus on building strong customer relationships and providing the highest quality of workmanship on each and every vehicle we service. SM Tire was founded by George “Will” Brown on May 15, 1946 in Santa Maria, Calif. Brown traveled the Ventura area on weekends in the early 1960s to change and service earthmover tires during the construction of the 101 Freeway. During that time, Brown developed a professional relationship with George Heitz, a foreman on the construction job, and brought him in as a shareholder of Santa Maria Tire, Inc. in 1963. The company opened a Bandag Retread Plant in Santa Maria in 1965. Between 1946 and 1983, Santa Maria Tire, Inc opened locations in Santa Maria, Atascadero and Oxnard. Craig Stephens was brought on as a successor in 1983 and bought the company in 1985. A year later, SM Tire opened it’s first retail tire and automotive service location with the purchase of a Goodyear corporate facility in Santa Maria. In 1988 SM Tire acquired another retail tire and automotive service facility in Arroyo Grande, CA. In 2005 Craig’s son Cameron joined the family business and currently serves as Vice President. In 2012, SM Tire opened a new Commercial Tire facility in San Luis Obispo, CA and in 2013 relocated its corporate office and Commercial Tire Facility from downtown Santa Maria to the Santa Maria/Nipomo, CA border. SM TIRE NOW SERVES CALIFORNIA’S CENTRAL COAST REGION OUT OF OUR LOCATIONS IN PASO ROBLES/ATASCADERO/TEMPLETON, CA, SAN LUIS OBISPO, CA, ARROYO GRANDE, CA, NIPOMO, CA, SANTA MARIA, CA, SANTA BARBARA/GOLETA, CA AND OXNARD, CA. All of our locations feature mobile tire repairs, 24 hours a day. The Atascadero/Paso Robles and Santa Barbara/Goleta locations offer mobile tire service only. SM Tire is a AAA-Approved Repair Facility, a TIA-certified tire dealership, and a member of the Carquest Network, the Goodyear Tire and Service Network, and the California Trucking Association. A local family owned and operated company that is invested in the long term success of the communities we service. Local employees who live and work in the communities we service. Experienced and professionally trained management and service staff. Tire Industry Association (TIA) and Automotive Service Excellence (ASE) Certified Staff.